Upper Basin: Hayden Meadows is running cold and clear, with air temps dropping well below freezing most nights. As a result, the fishing on the upper end of the river is definitely slowing down. Anglers are having better success by moving downstream for warmer water and more active insects and fish. Current temperatures are in the low 40 degree range with water flow around 88 cfs. Lower Basin: Though the temperatures are slowly cooling, the long, slow glide that has been this fall continues to provide excellent fishing conditions for November. With water temperatures still peaking well into the high 40 degree range in Bighorn Sheep Canyon, post-spawn browns have returned to active-feeding lies and can be found in pocket water most afternoons. 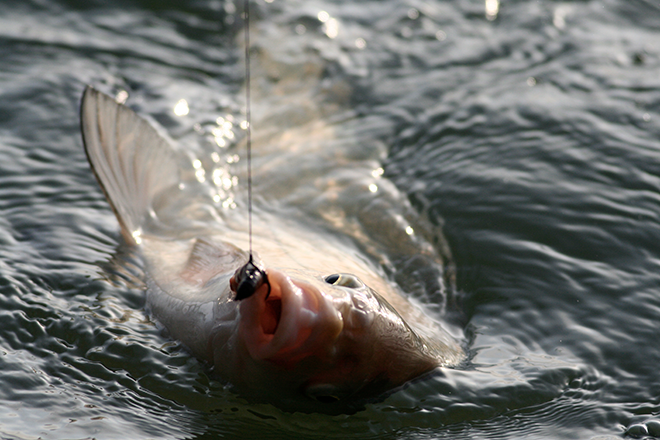 In the early mornings and late afternoons, expect them to move towards deeper/slower water. While midges are the primary available food source now, fish will take caddis larvae and golden stonefly nymphs too. The current water flow is around 308 cfs (courtesy of ArkAnglers). The lake is at 739 surface acres with a surface elevation of 6185 feet. The surface temperature has been in the low 50 degree range. Trout have really picked up from the shoreline in the last week. Anglers have been using nightcrawlers, artificial flies, and PowerBait. Trout sizes have been in the 12 to 15 inch range. Boaters are still catching trout. The walleye and perch fishing has stayed consistent. Most boaters are catching fish trolling worm harnesses.